The Islander Cruises crew are back for the 2017/18 season! We are excited to offer our guests our new AQUA SCOOTER TOURS! Located 600 km off the coast of Port Macquarie, World Heritage listed Lord Howe Island is home to over 500 species of fish and 80 species of coral. The Island has 240 native plant species, half of which are found no where else in the world. With 203 different over 200 species of birds recorded visiting, and 32 species breeding here, Lord Howe is any nature lovers paradise. what will you do with your time here? 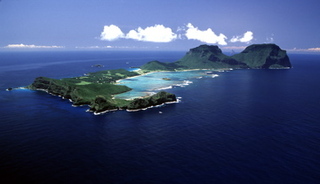 There are so many things to do on Lord Howe that you will be no doubt trying to fit everything in on your holiday. Islander Cruises provide a one-stop shop for all your Island activities, catering for all ages and experience levels. Hire what ever you need, whenever you need it!